Light rail proponents typically highlight capacity, whereas BRT proponents point to better relative price performance. 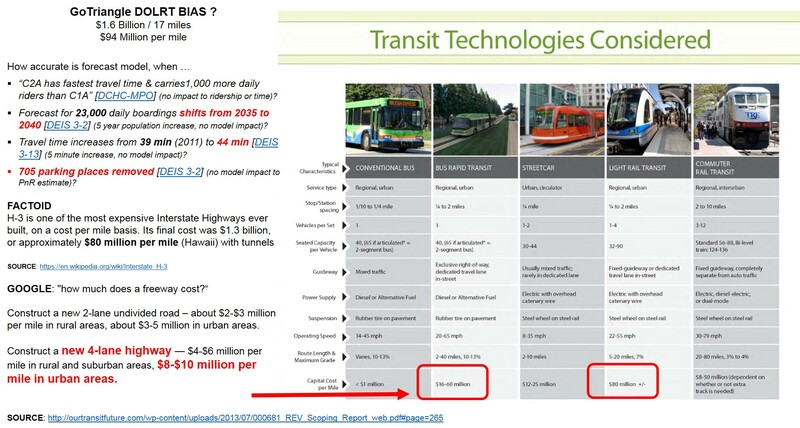 The relative costs of BRT and LRT have been extensively studied, including a US General Accounting Office report concluding that Bus Rapid Transit costs a mere fraction (typically 10% per mile) of the construction cost compared to light rail. Researchers have consistently found that rail, with its high up-front capital costs and increasing economies of scale, needs to attain a threshold density of trips in order to cost less than providing the same trips by car or bus … many recent investments in heavy-rail and light-rail have lacked the prescribed densities to support them. The OCTA [Orange County Transit Authority] Directors be made aware of the national experience in light rail over the past 18 years and light rail’s documented inability to solve urban transit problems such as traffic congestion and pollution. Along those lines, we further suggest that disinterested experts from academia be invited to provide the historical perspective to the Directors. Inputs should come from a variety of sources, especially experts in economics, transit, and light rail, who do not have a vested interest in the promotion of light rail for the County. Are we doomed to repeat this mistake? Will another grand jury come to the same conclusion after billions have been squandered? Until we address the inherent light rail bias, our tax dollars will continue to be squandered while compounding our transportation problems. Relying on light rail investments as the antidote to traffic congestion will, in the end, result in worse traffic congestion. It will condemn us to a rigid and obsolete infrastructure while saddling us taxpayers with even higher taxes, ruinous debt and lost opportunities to honestly address the problem. Light rail will have negligible impact on traffic congestion because it attracts few automobile drivers from their cars. Demographic trends will make light rail much less effective than predicted by planners. Light rail is expensive. The most cost-effective, federally funded systems have required subsidies of $5,000 and more per new ride. New rides are those riders brought out of their cars and into the transit system. Light rail is inflexible once in place. The OCTA’s bus system routes are adjusted three times a year. 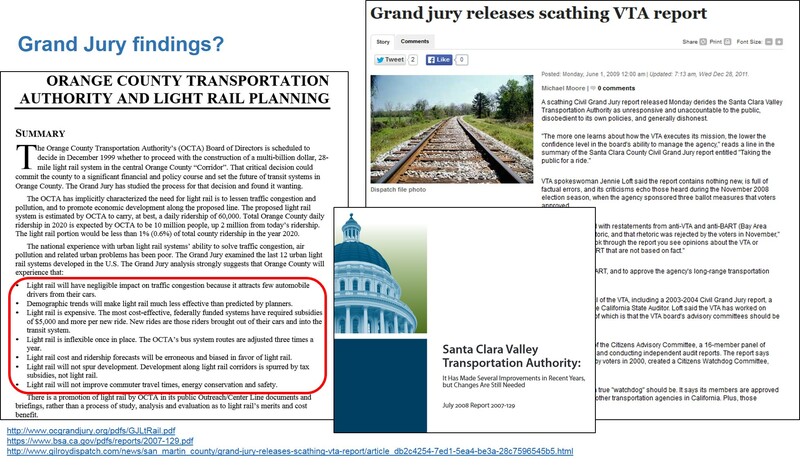 Light rail cost and ridership forecasts will be erroneous and biased in favor of light rail. Light rail will not spur development. Development along light rail corridors is spurred by tax subsidies, not light rail. Light rail will not improve commuter travel times, energy conservation and safety. City Sued Over Public Records. Brian Rodgers lawsuit alleges failure to lawfully respond to requests on three high-profile topics including correspondence between City officials and the Downtown Austin Alliance while plans for a light-rail election were being devised.